Outstanding Crochet: Crochet Pattern - Raspberry Beanie Hat with Pom-Pom Crochet Pattern. Crochet Pattern - Raspberry Beanie Hat with Pom-Pom Crochet Pattern. Learn new techniques - connecting motifs as you go by joins and strand-crocheting (knitters, there... we can do it too!)! Step-by-step pictures won't leave any room for misunderstanding! So, check out this pattern once again. It includes step-by-step pictures for every step, clear written instructions, schematics and chart. Sizes are from Baby to Adult. 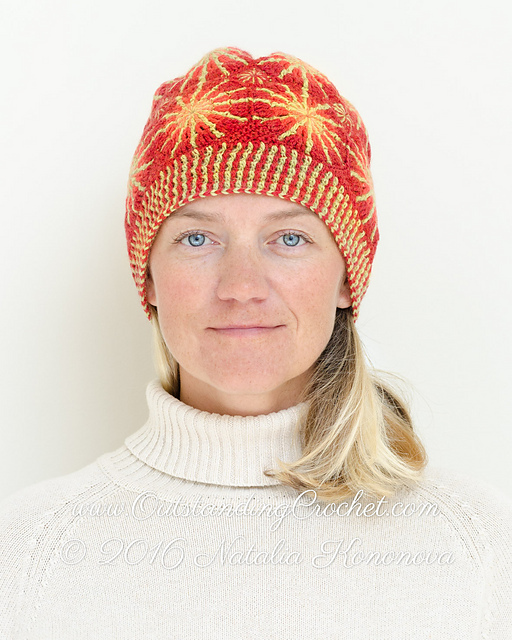 Raspberry Beanie Hat Crochet Pattern (clickable link). 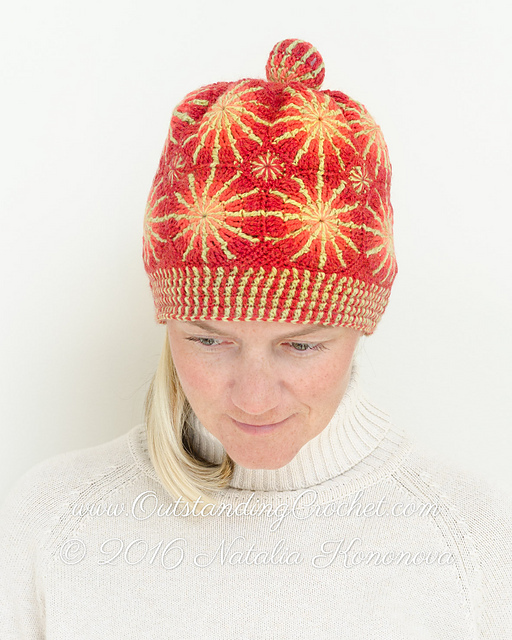 This pattern was accepted by Knit Picks this week and will soon be available via their web-site as well. I had to redo it for my own size to take pictures (it was in baby size). (transaction goes via Ravelry without registration).